On the back cover of the latest issue of Rolling Stone magazine* is an ad for the new iPhone models. 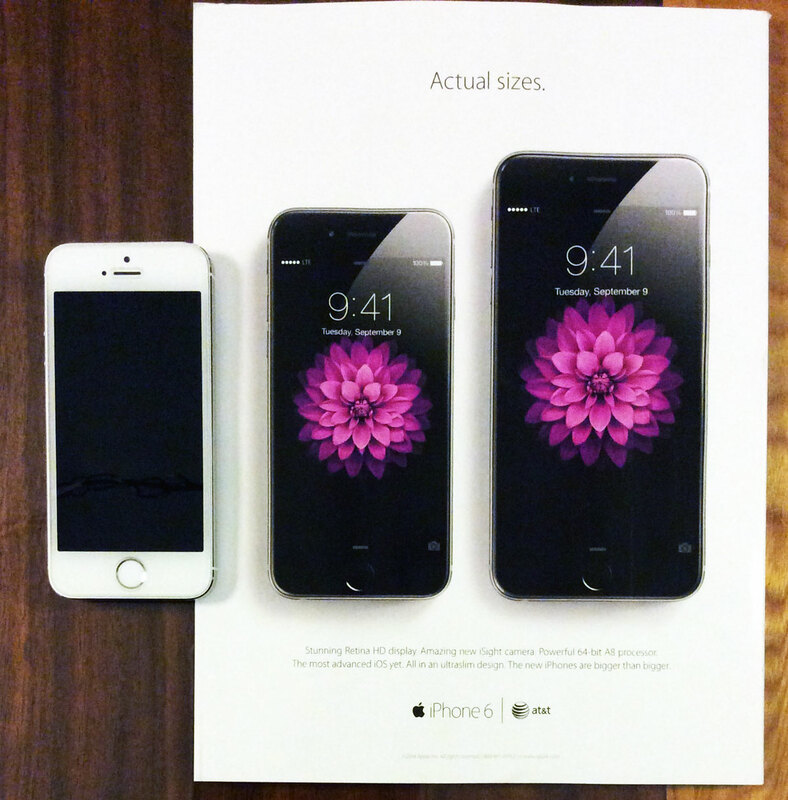 It's labeled "Actual Sizes," showing off how big the new iPhone 6 and iPhone 6 Plus actually are. I took a photo of the ad with my iPhone 5s next to it, also shown actual size (compared to the other two). I'm not sure where else the ad will be appearing, but with nearly 1.5 million subscribers, that's a lot of people who could be getting a good look at the new devices for the first time. Clever move to make them actual size, the first thing I did was set my phone on each one for comparison. Well played, Apple. * Magazines are like blogs from the olden days, printed on paper and mailed to people.